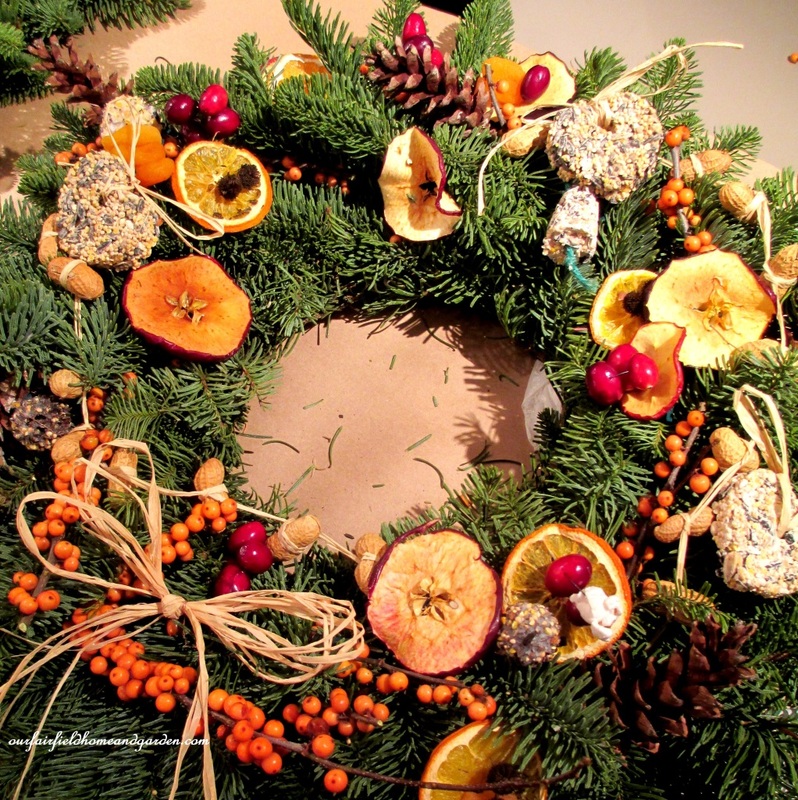 Natural Holiday Bird Wreath decorated with edibles! 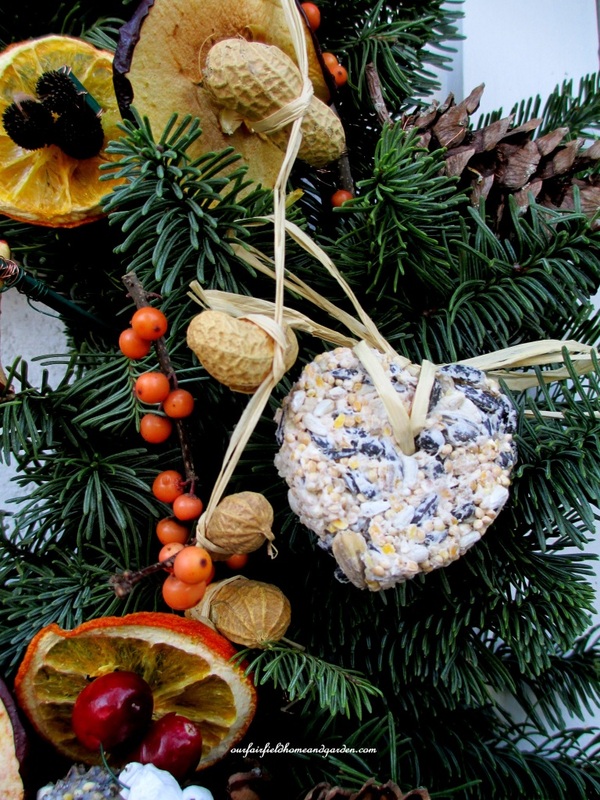 Want to decorate naturally for the holidays and feed the birds, too? Mt. Cuba Center held a wonderful workshop on “Making Natural Holiday Wreaths Birds Will Love” and my friend and I were two of the happy participants. Under the tutelage of Donna Wiley and Bev Kostek, we all created our own Natural Holiday Bird Wreaths. 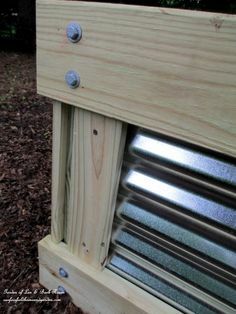 Although our materials were assembled beforehand for us, this is a project you could easily do at home. 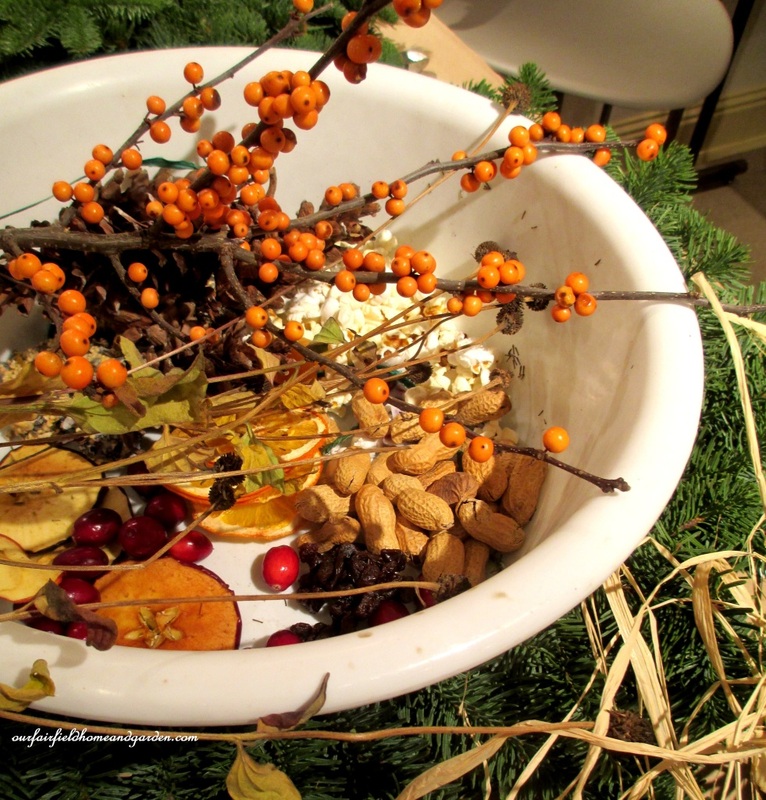 Use a pre-made evergreen wreath as the base and add on treats for the birds. 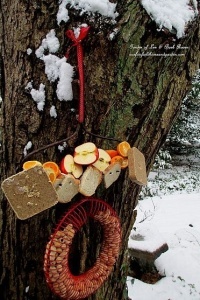 Decorative edible materials can be a variety of suet ornaments, berries (Holly , Winterberry, etc), dried and fresh fruits (cranberries, apricots, apples, oranges, raisins, etc), seed heads from coneflowers and other perennials, popcorn, nuts and pinecones. Did you know you can also make suet with peanut butter? Here’s my friend, The Empress of Dirt‘s own secret recipe: UnSuet-Suet Recipe. I used raffia and peanuts in the shell to make a garland! Easily done – just start a knot and put a peanut in and repeat until it’s the length you desire. Or you can thread popcorn and cranberries on thread or floral wire. 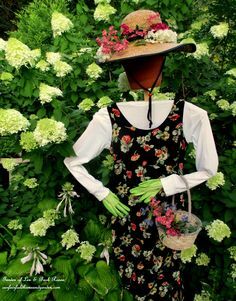 Attach your materials using raffia, string, flower picks and floral wire. 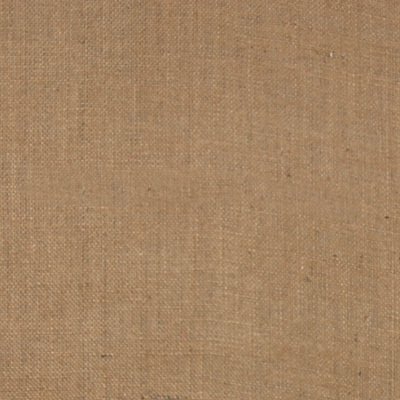 Finish it off with a natural bow of burlap or raffia. Holiday bows are pretty, but be careful not to use any treated with flame retardants. Same thing for artificial wreaths. 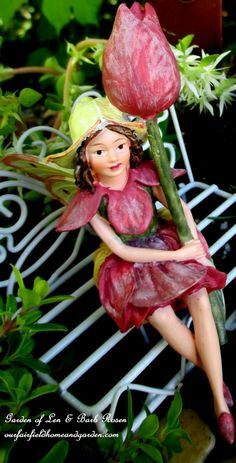 Those can be be harmful to the wildlife that will dine from your wreath. Finished Natural Bird Wreath ~ ready to take home and hang! 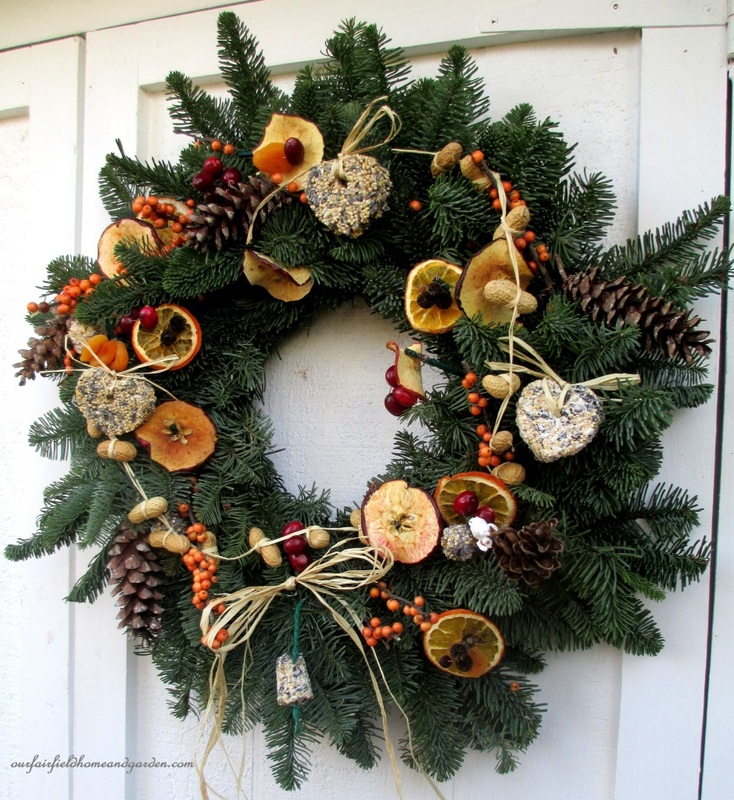 Hang your wreath up in a spot that will slow down those pesky squirrels! 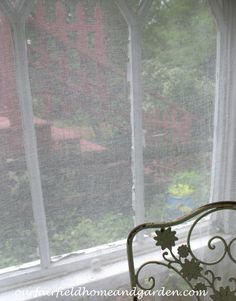 But also place it so you can enjoy watching the birds visit to feast upon the natural goodies. You can replenish the food stuffs as needed to keep this Natural Holiday Bird Wreath going a long time! 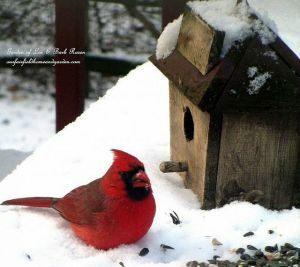 If you are a birdlover like me, check out these other ideas from Our Fairfield Home and Garden! A Rake Becomes a Bird Buffet! Time To Feed The Birds! I was so happy to see this post. 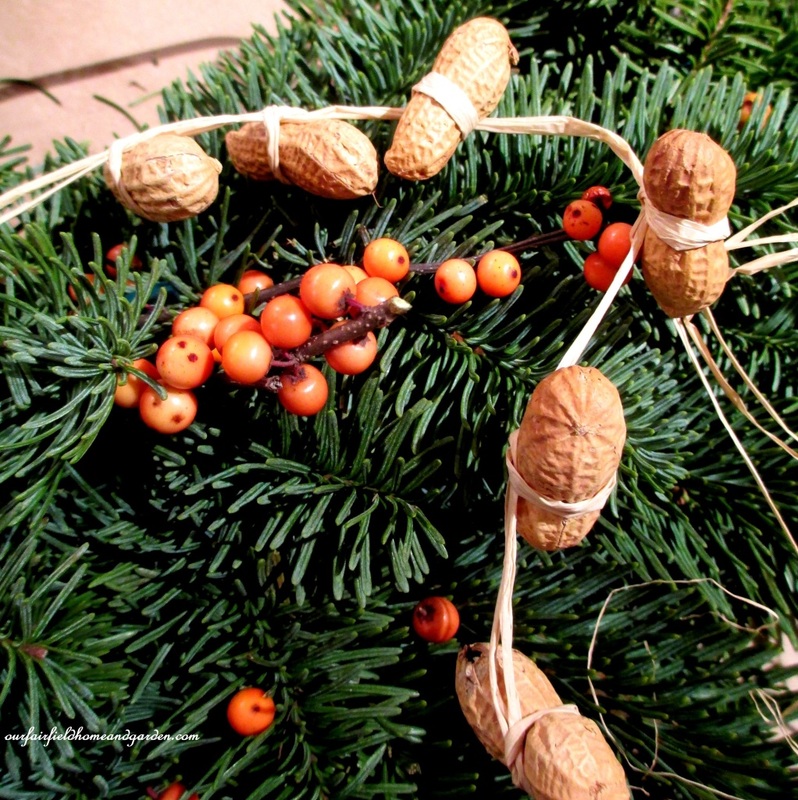 I’ve been gathering materials to make a bird’s wreath and love your ideas, especially the peanut garland. Happy you stopped by and found some ideas for your project, Babs! 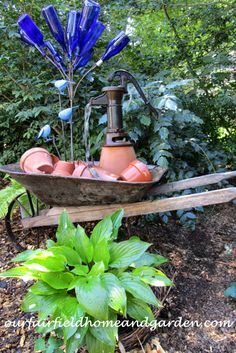 Love this idea Barb. 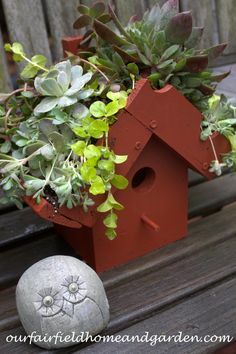 So pretty and helps the birds. I keep hearing a bird right outside my office window and one day it was on the sill and I think it was a pileated woodpecker! Of course it flew away before I could grab my camera. Those little rascals are too quick for me most of the time, too, Patti ! Glad you like my bird wreath! Beside the fact it’s so pretty and organic, the feathered creatures must think they died and went to heaven!! They are having at it, Lorraine! I will replenish the wreath through this season. Barb, I love this idea for a wreath. I have to share this on Facebook and pin so I can make one too! 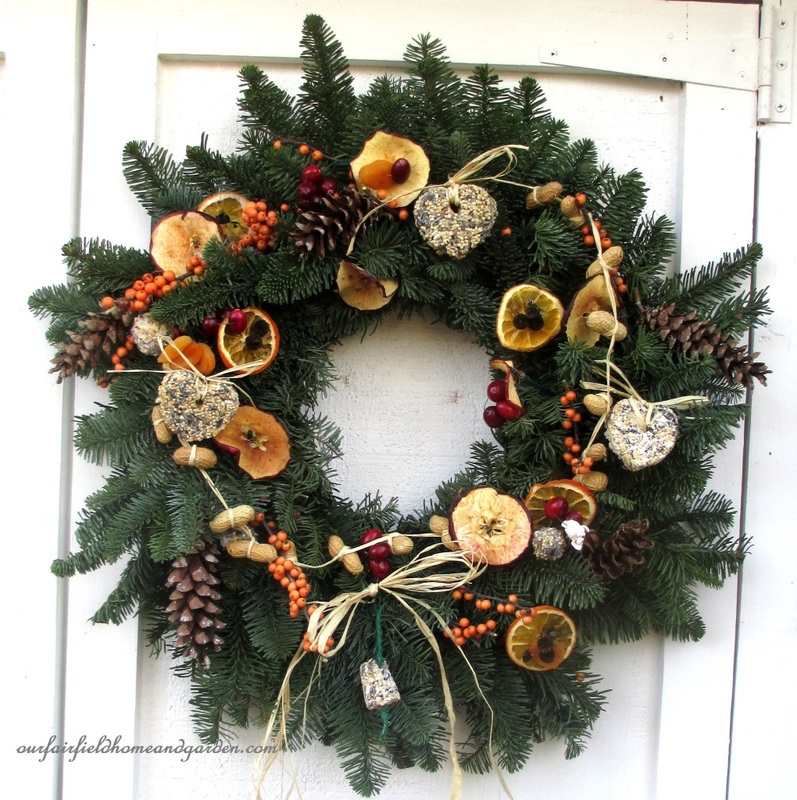 We can’t forget the birds at Christmas time and this wreath designed for them is brilliant. Please do, Thea! I am so glad you like the bird wreath. I can tell you the birds are pretty crazy about it too!